Live Learn Shine On: Euro 2012 - Congratulations, Spain! The 2012 UEFA European Football Championship (Euro 2012), is the 14th European Championship for national football teams organised by UEFA. 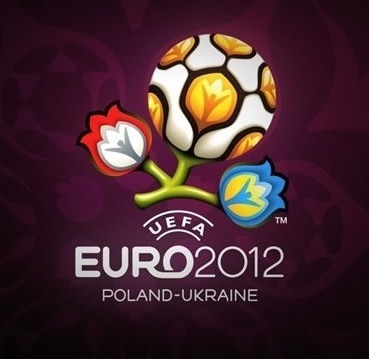 The tournament is being hosted by Poland and UKRAINE between 8 June and 1 July 2012. It is a very exciting time to be an Ukrainian <:) Especially tonight, when all European eyes are focused on the final of Euro 2012, held at the Olympic Stadium in the capital of this beautiful country - KIEV! I do not think it was a big surprise that the defending Champion, Spain made it to the final, as well as one of the strongest European teams, Italy joined too seeking for its 1st victory in 64 years! Although, it must be admitted that most of the teams displayed their best games throughout the whole tournament, and any of them could've made it further had they a little more luck! The 2012 tournament featured 16 nations, qualifications were contested by 51 nations between August 2010 and November 2011 to join the two host nations in the tournament. And the winner of the tournament, Spain just gained an entry to the 2013 FIFA Confederations Cup hosted by Brazil. The tournament was played across eight venues, four in each host country, five of which were newly built for the tournament (the incredible Olympic Stadium in Kiev where the final match was held was reconstructed&extended for the capacity of 64,640 spectators). Our sincere congratulations to Spain on an amazing game and well-deserved victory at Euro2012!!! And a NEW records in Euro Cup history! As for today's game: from the very first minute it was obvious that Spain had their eyes on that trophy and hey were not going to give up even for a minute! (correct me if I'm wrong but) the strongest European team had their chances and used them the best they could: unbelievable team play, clear passes and the most important thing, conversion and finishes went as planned, which led to the result. One must not forget those 2 amazing saves by Spanish goalkeeper, Casillas', in 1st half of the game as well as few more during the 2nd half! Nevertheless, absolutely enjoyable performance by both teams and all players, great support from fans all over the world!